Once considered strictly as instruments of war, drones have grown to become a popular vehicle for capturing and reporting the news. Unlike video footage from a helicopter, drones have the ability to provide footage quickly and within close proximity to the story. The sight of a drone, however, implicates privacy and safety concerns to the general public. Accordingly, the Federal Aviation Administration (FAA) has sought to regulate the commercial use of drones. On November 8, 2014, drone experts Philip Grossman and J’son Johnson discussed the legal issues surrounding drones, the importance of drones for the news, and what it takes to successfully operate a drone. Mr. Grossman stated that while he likes “the FAA getting involved to a certain instinct,” the drone community is self-regulated. There are, however, activities associated with drones that should be prohibited. Accordingly, Congress announced plans to draft regulations for drone operators in September 2015. 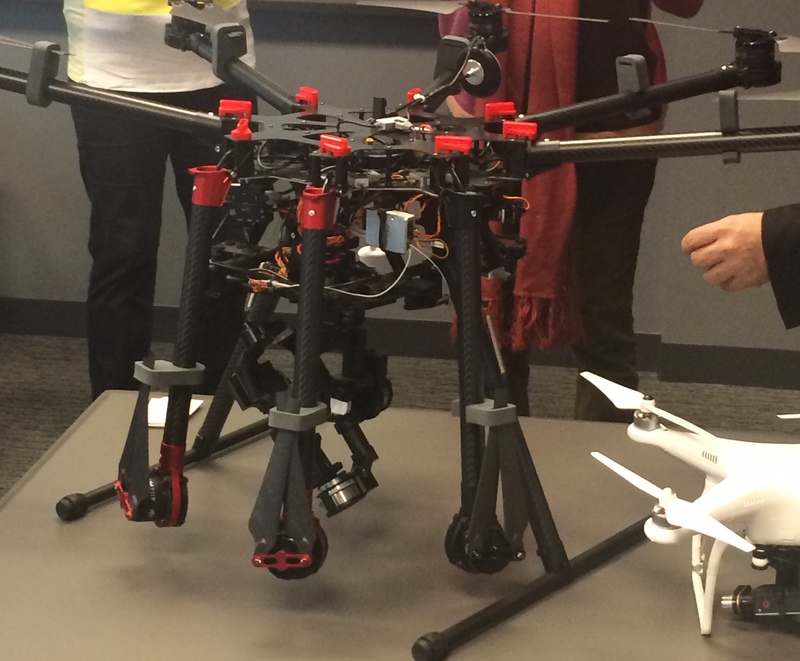 Despite the legal issues, drones remain a significant fixture in reporting the news. Mr. Grossman explained that drones are “cheaper than a helicopter and not as limited.” Additionally, drones “can get closer to the news coverage.” Journalists nonetheless should have “written rules on how they use a drone as certain procedures can be costly.” For example, Mr. Johnson provided that operation of a drone should require two people: a person manning the control and a spotter to handle outside interferences. Additionally, drones attract crowds and affect (as well as are affected by) Wi-Fi connections. So how can a person interested in drones get started? Drones can be expensive and should be considered an investment. The cost of a drone averages $8,000 to $15,000. Therefore, to ensure maximization of the investment, Mr. Johnson explains, “what you’re going to need is training.” It is wise to obtain a pilot license and a navigation certification before operating a drone. And finally, commit to several days of practicing manning a drone. Both experts agree that it takes a lot of focus and time management to successfully operate a drone.